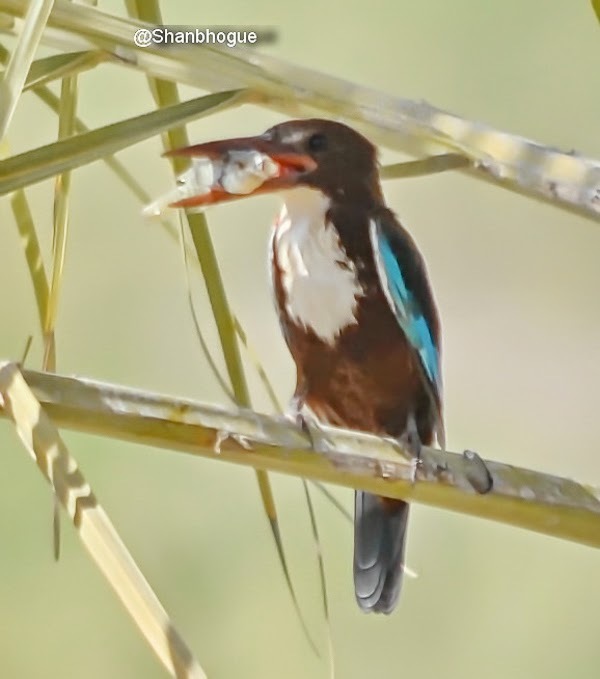 Ragu, who is a doctor living and working in Buraidah north of Riyadh went out birdwatching to his local park on 25 October and found a White-breasted Kingfisher sitting in a tree near a small pond in the park. Ragu sent me a photograph of the bird and has kindly allowed me to use it on my website. White-throated Kingfisher is a scarce bird in Saudi Arabia but has become more common over the last decade or so and now breeds in Riyadh. Records are much less common away from Riyadh and are rare from the north but this may be due to lack of birdwatchers living there rather than anything else. This is a good record from Buraidah and shows continuing going out to your local ‘patch’ birdwatching often pays off.